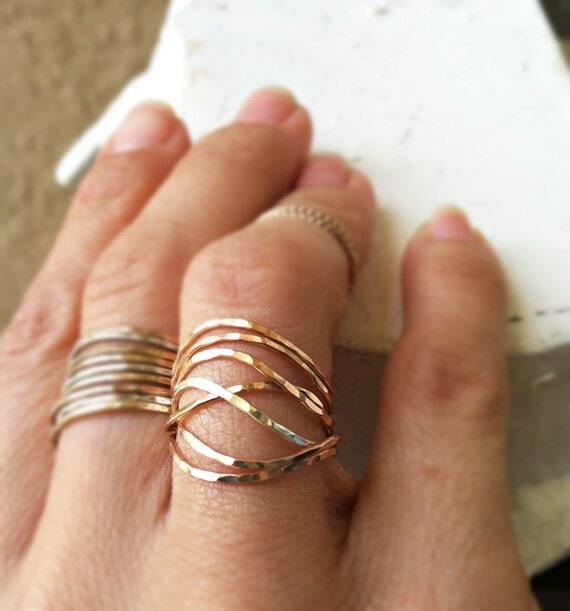 This is just a slightly different version of the traditional straight hammered stack rings from our shop. 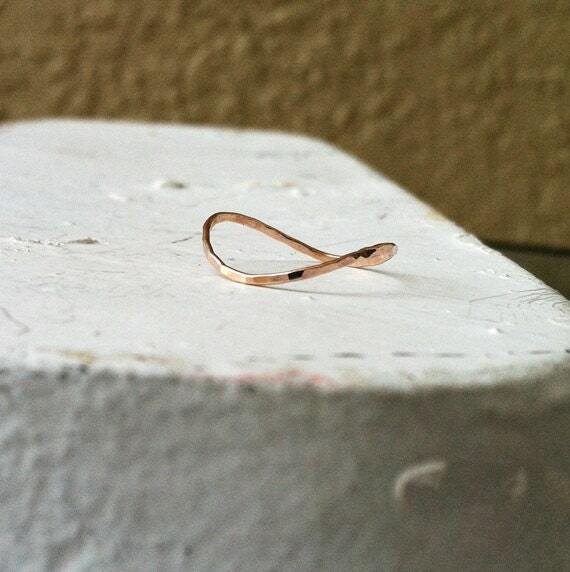 The ring is thin yet sturdy in its shape, and looks beautiful stacked with more wavy rings. You can wear them aligned together or a bit off to give them even more movement! So fun and elegant. Great for everyday wear! 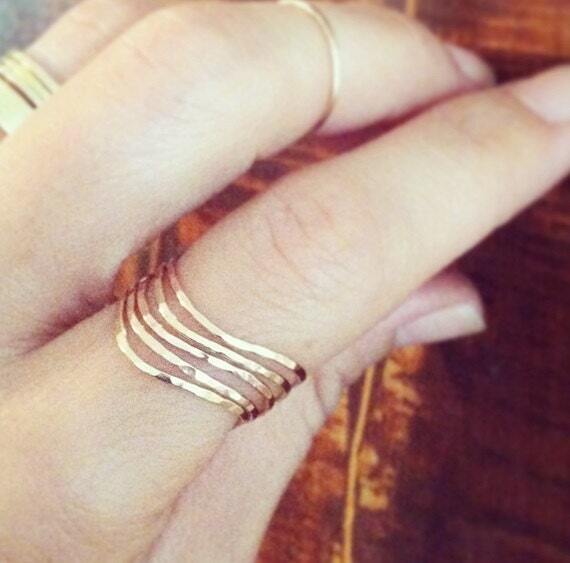 ♥This listing is for 7 (SEVEN) wavy stack rings, made to order in your desired size! ♥Please just include your size info and metal preference (gold filled, rose gold filled, or silver) in the "notes to seller" box when checking out. ♥If you wish to get a smaller/larger stack, and you do not see a listing for the number of rings you would like, just contact me and I will set one up for you!